Your spine: the basics, here we will be discussing the fundamental properties and principles of your spine and how it works. These principles are not difficult to grasp and when you do, the mysteries of back pain, neck pain and how it can go wrong will become clearer. 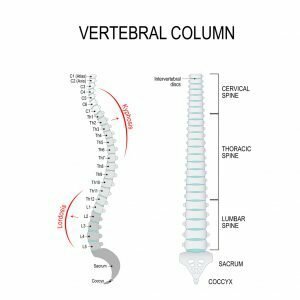 This is the start of a series of posts on the subject of the spine and how it works so keep an eye out for future posts. The more astute readers will notice that I have missed out the sacrum and coccyx. There are two reasons for this, 1) is because these segments to not fall into category of “movable”, and 2) because there will be a follow-up post discussing the sacrum and sacro-iliac joint separately. This area is of great complexity and controversy within the manual therapy professions and thus will be discussed in a separate post. 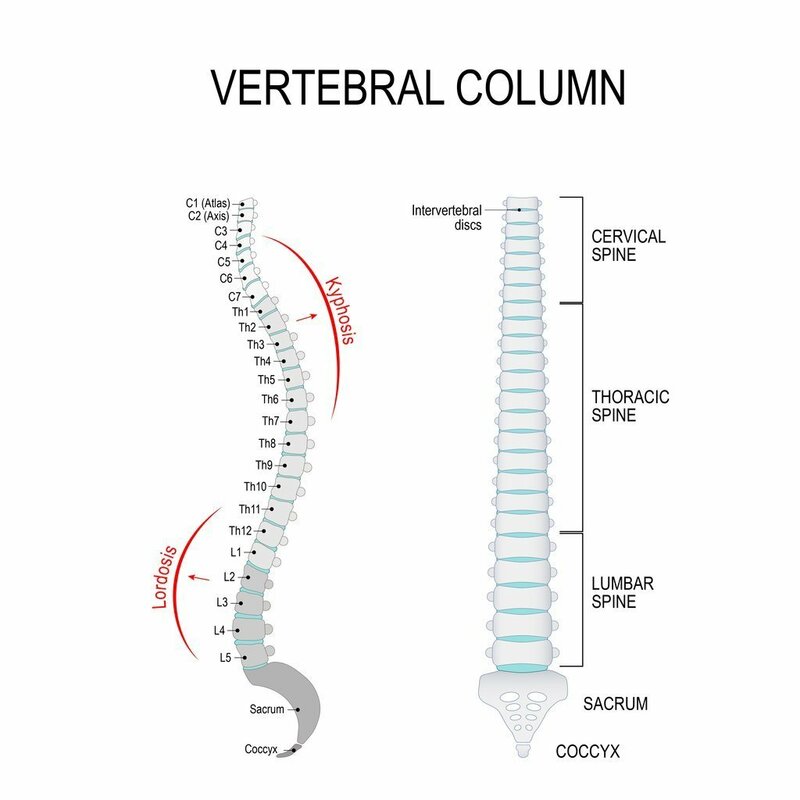 When viewed from the front or back, the spine is a vertical column, where each vertebra is vertically aligned with the vertebra above and below. This allows the spine to perform its first basic biomechanical function, which is to fight gravity by expending the least amount of energy possible. From the side, the spine should have 3 basic curves as the picture above illustrates. These curves are present to perform another basic biomechanical function, which is to dissipate forces from both your upper body down to the ground, and ground reactive forces come back up from your feet as you walk. There is a common myth that some of us learnt at school, which is the spine is a shock absorber. When in fact these forces and dissipated or transmitted to save the body from having to absorb them. Each segment of the spine is capable of movement through all 3-demensions along the X, Y and Z axis. This allows 6 degrees of movement, because each can move along these axes in both directions, e.g. forwards and backwards, left and right. They are also capable of rotating around these axes in both directions, e.g. side bending of the head left and right, and rotating the head left and right (like when shaking your head to say no). This provides the segments and the spine as a whole with a total of 12 degrees of freedom1–3. In order to maintain its vertical structure, it requires balance. Too much pull from a contracted muscle on one side than the other, the spine will bend out of shape. Damage to a joint of the spine, or to a hip causing you to limp throws your centre of mass away from you centre. This will cause altered loading of one side compared to the other, making it asymmetrical. Now that you understand these basic principles of your spine, it may help with your understanding as to why your symptoms may be intermittent or go through phases of recurrence. Getting to the root cause of the problem and addressing that is what we at Spriggs Chiropractic are all about. For more information about what altered joint biomechanics can lead to, check out our post of arthritis and inflammation. In an upcoming post, we will be discussing what can be done to help your body recover and correct some of these types of postural changes, including some types of scoliosis. 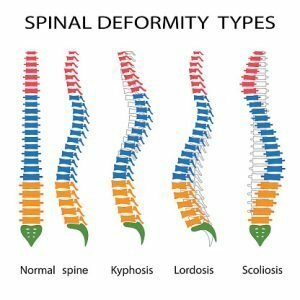 If you cannot wait for this information, check our the CBP Non-profit website to read through the latest research into spinal rehabilitation. Also, Dr Deed Harrison has a fantastic Youtube video where he discusses these properties in great detail for those interested in learning more from the master. Spriggs Chiropractic, do you want to get by, or do you want to get better? White AA 3rd, Panjabi MM, Brand RAJ. A system for defining position and motion of the human body parts. Med Biol Eng. 1975;13(2):261-265. White A, Panjabi M. Clinical Biomechanics of the Spine. 2nd ed. Philadelphie: Lippincott Williams & Wilkins; 1990. Guilak F. Biomechanical factors in osteoarthritis. Best Pract Res Clin Rheumatol. 2011;25(6):815-823. doi:https://doi.org/10.1016/j.berh.2011.11.013. Harrison DE, Colloca CJ, Harrison DD, Janik TJ, Haas JW, Keller TS. Anterior thoracic posture increases thoracolumbar disc loading. Eur Spine J. 2005;14(3):234-242. doi:10.1007/s00586-004-0734-0. Harrison DE, Cailliet R, Harrison DD, Janik TJ, Holland B. Changes in sagittal lumbar configuration with a new method of extension traction: Nonrandomized clinical controlled trial. Arch Phys Med Rehabil. 2002;83(11):1585-1591. doi:10.1053/apmr.2002.35098. Chang SW, Kakarla UK, Maughan PH, et al. Four-level anterior cervical discectomy and fusion with plate fixation: Radiographic and clinical results. Neurosurgery. 2010;66(4):639-646. doi:10.1227/01.NEU.0000367449.60796.94. Foreman S. Whiplash Injuries: The Cervical Acceleration/ Deceleration Syndrome. 2nd ed. Lippincott Williams & Wilkins; 1995. Stemper BD, Yoganandan N, Pintar FA. Effects of abnormal posture on capsular ligament elongations in a computational model subjected to whiplash loading. J Biomech. 2005;38(6):1313-1323. doi:10.1016/j.jbiomech.2004.06.013.